The Earth Overshoot Day marks the date when we (all of humanity) have used more from nature than our planet can renew in an entire year. 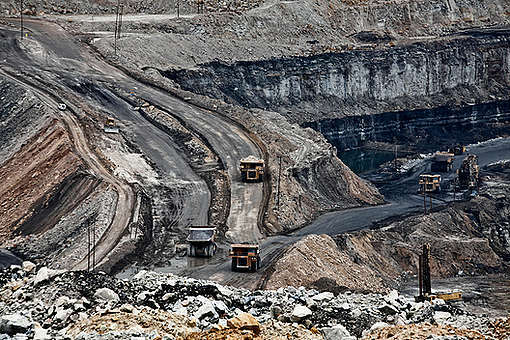 Assessments suggest, we are currently using resources to the tune of 1.7 Earths per year. This further implies, starting from 1st of January 2018, we would have exhausted all the resources the earth can regenerate this year in just 7 months instead of 12, given our current consumption rates. 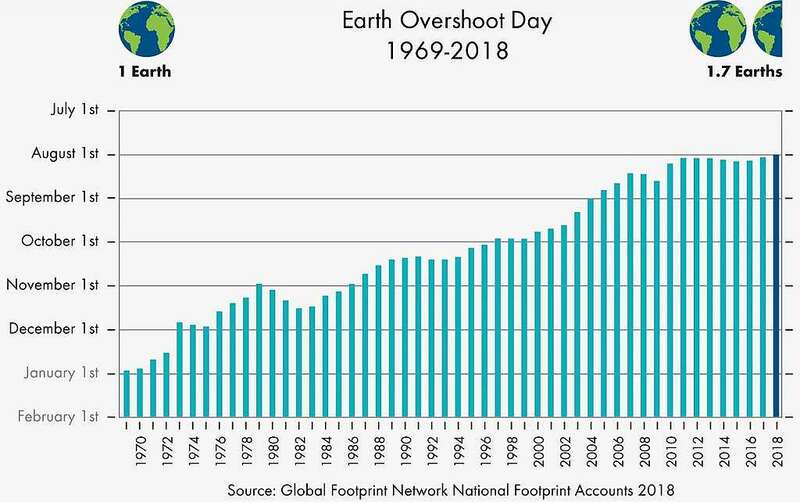 Based on this concept, the 1st of August 2018 has been marked as Earth Overshoot Day this year. India, being one of the largest emitters of CO2 in the world and with energy aspirations to support more than 1.3 billion lives, holds a key position in setting the clock back. 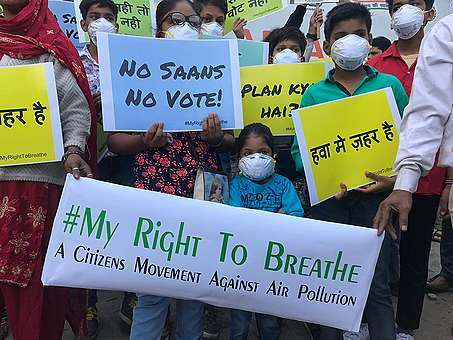 Shifting India’s electricity paradigm from one that is heavily dependent on coal to one driven by Decentralised Renewable Alternatives, especially Solar Energy, is crucial to cutting down the detrimental impacts of our carbon footprint on this planet. Data suggests, more than anything, our quench for electricity and its consumption pattern, being attributed with a massive carbon footprint, stand out startlingly in aggravating the overshoot crisis. Carbon Footprint makes up 60% of humanity’s Ecological Footprint. 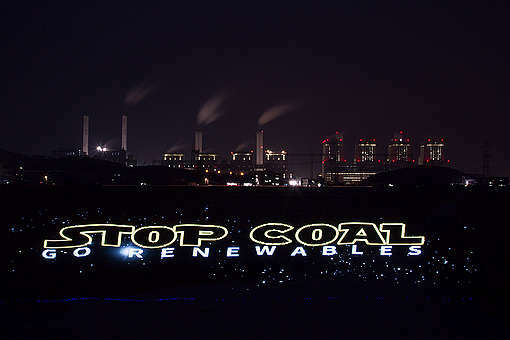 With a majority of our electricity being generated using the carbon intensive process of coal burning in Thermal Power Plants, we have led ourselves willingly into this doomed reality. Calculations tend to point that reducing the carbon component of humanity’s Ecological Footprint by 50% would get us from consuming the resources of 1.7 Earths down to 1.2 Earths. This corresponds to moving the date ahead of the current Overshoot Day by 93 days, or about three months. Reframing our priorities in the energy sector holds the opportunity to #MoveTheDate. The Paris Agreement, within the United Nations Framework Convention on Climate Change (UNFCCC), proves to be a milestone in this regard. While setting accountabilities and making it obligatory for nations and governments to make up for the damages done to the environment through mitigation measures, it has set targets for nations to adhere to, while doing so. India has set a target of raising its Renewable Energy capacity from under 40 GW in April 2014 to 175 GW by the end of 2022. Things have not been moving as fast as planned though. Presently India has installed just 6 percent of the 40 gigawatts of rooftop solar power systems target it set in July 2015 to reach its overall renewables target of 175 gigawatts by 2022; as per recent reports, suggesting that the country might miss its goal by a wide margin. It further implies that achieving the solar rooftop target is critical to significantly reducing India’s reliance on coal and enable the country to fulfil its Paris Agreement commitment to reduce the carbon intensity of its gross domestic product by 33 to 35 percent from 2005 levels by 2030. Greenpeace India kick started a campaign named ‘Solar Shakti’ to this effect, around the World Environment Day last year in 2017, to get more and more individuals and institutions to commit themselves to switching over to solar rooftops. A project that started off with an ambition of 5 rooftop installations within an year now boasts of 18 installations in and around Delhi NCR, with a current installed capacity of around 2.25 MW so far, while the list is still growing. The feat gains significance and the results look promising given the willingness the campaign was able to generate in its audiences, in spite of the inertia and the subjectivity of each of the respective installations. The highlight of the campaign was The Solar Comet – a small house on wheels with all the electrical appliances used in a typical household, powered by rooftop solar panels and within approachable budget, which proved to be a massive hit in public and media alike. While market friendly policies are still awaited especially with regards to anti-dumping duties and safeguard duties, there is a considerable need for a mindset shift from consumers towards RE and a systemic shift from DISCOMS to accommodate solar. Realising the solar rooftop ambition relies a lot on institutions and individuals who would be eager to adopt it. Our existence is clearly running out of time. In practice, if we were to set things right, we need to closely monitor how and how much we impact nature through our actions and correctly align the course in a manner we reduce the impact to minimal, so as to push the Earth Overshoot Day closer to 31st of December and even beyond. Whether we succeed or not in doing so, only calendar will tell, quite literally. Rahul Prasad is a Communications Campaigner with Greenpeace India. Cost of ROOF TOP panels are prohibitive besides regular maintenane like cleaning accumulated dust over them is cumbersome. Unless these issues are addressed we may not see widespread acceptance .